Productive operation of the computer depends on many of its components, crucial of which is the graphics card. If the video card is not working or is acting up, it is necessary to take a number of measures. Failure of the graphics card can often be linked to its negligent operation. To see the status of the video card, you need to disassemble the system unit and clean it inside from dust with a dry cloth and vacuum cleaner (if dust a lot). Then we have to consider the graphics card. Mechanical damage can be expressed in a non-operational cooling system, bulging or leaking transistors, unpleasant burnt odor. If external signs of injury, we will have to carry the card at the diagnostic service center. Much more wear than the card is exposed to the monitor and connecting cables from him. Before stating about the problems with the video card, you need to ensure good monitor and cables. This can be done by pulling and re-inserting the ends of the cables to the original locations. If this has not led to a positive result, it is possible to switch the cables swapped from one computer to another. The same can be done with the monitor. If nothing has changed, then most likely it is really the graphics card. The test card may be performed, according to the law on consumer protection, for up to two weeks, after which the decision will be made about repair, replace or return the card to the buyer with regard to its serviceability. Repairs can be carried out either under warranty (if the graphics card you recently purchased) or on a paid basis if the warranty period has expired. If the graphics card is working, it will be returned to the buyer. 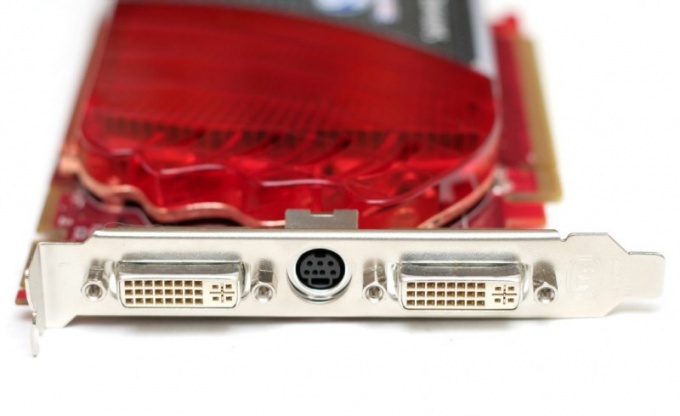 The lack of pictures on the monitor, or incorrect display is not always associated with the state of the graphics card. If the graphics card is not repairable and its warranty has expired, you can try to sell it for parts. The price will be cheap, but it's still better than nothing. In such broken parts can be interested in various special service centers, independent from any stores or brands. To disassemble the graphics card you can own, with spare parts, fans, transistors, etc. are never superfluous. Not the fact that the failure of one service center repair means giving and elsewhere. This can happen for a variety of reasons: the reluctance of the masters to understand the complex situation of long-term spare parts, the absence of masters needs qualification. Have to visit several shops, and probably one of them will take to fix a broken graphics card.